This time of the year is the best for creativity and Pinterest is an amazing source of ideas for crafts and food. 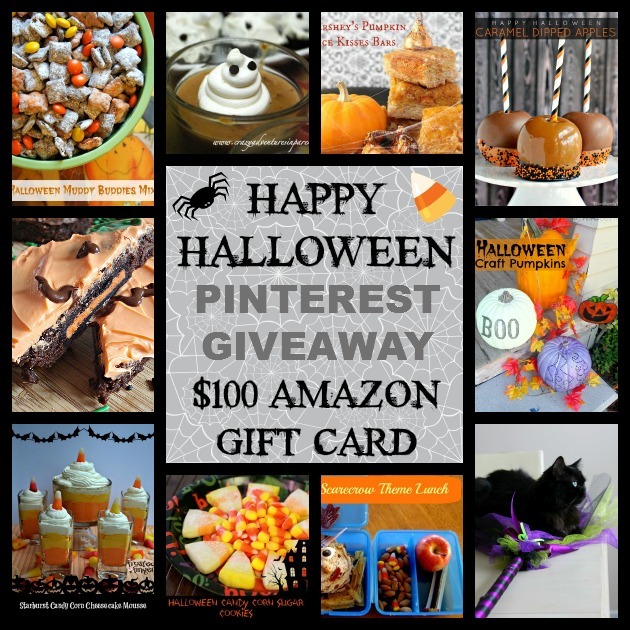 As Mom Sees It has teamed with a few select bloggers for a Halloween giveaway that we know our readers will love! We’ve gathered a small collection of some super spooky and super awesome crafts and delicious food ideas that are perfect for the season. If you’re looking for some sweet, or eerie, Halloween ideas, be sure to check out our Halloween Pinterest Board. To enter to win the $100 Amazon gift card, just enter below and good luck! The hottest holiday cards this season feature your family!